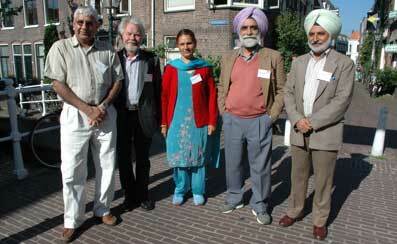 The 19th European Conference on Modern South Asian Studies (ECMSAS) was successfully arranged 27–30 June 2006, with 358 participants, in the historic university town of Leiden, south of Amsterdam in the Netherlands. The conference was hosted and organized by the International Institute for Asian Studies (IIAS), located in Leiden. It was convened by Prof. Emeritus Dirk Kolff, Department of Languages and Cultures of South and Central Asia, Leiden University; and the seminar coordinator was Ms Marloes Rozing, IIAS. 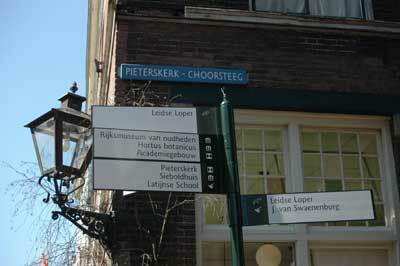 The conference was held in Leiden University’s Lipsius Building at Cleveringaplaats 1. Since 1968 the European Conferences on Modern South Asian Studies have been held every two years, each time organised by different universities all over Europe, but always acting on behalf of the European Association for South Asian Studies, EASAS. The key person behind the conferences over the decades has been Prof. Dietmar Rothermund, South Asia Institute, University of Heidelberg, Germany. Nowadays ECMSAS is one of the largest regular gatherings of South Asia oriented researchers in Europe, covering all fields from the humanities and social sciences to technology, natural sciences and medicine. 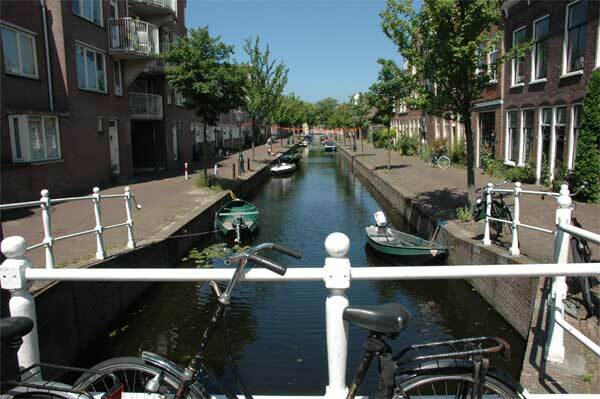 The Leiden conference was inaugurated on Tuesday 27 June 2006 Leiden. Professor Sujata Patel from the Sociology Department of the University of Pune, India, held the keynote lecture in the University Hall. It was titled ”Is there a South Asia? Beyond Colonial Modernity and its Binaries”. An abridged version of the keynote speech, entitled ”Beyond binaries: Sociological discourse on religion” was published in the IIAS Newsletter 44, Summer 2007. Go for the text. After that the participants spread to the 45 panels that were organised during the conference. More information about the panels. Of the 358 participants a large number came from South Asia, 58 from India, 6 from Nepal, 5 from Sri Lanka, 4 each from Bangladesh and Pakistan. The largest country group was otherwise UK, with 71 participants, Germany 46, USA 39 and the host country the Netherlands, also 39. On one of the conference days a special roundtable was also held in the framework of the newly established research programme ”Illegal but Licit: Transnational Flows and Permissive Polities in Asia”. The roundtable was organized by Prof. Willem van Schendel (University of Amsterdam and International Institute for Social History) and Dr Sikko Visscher (University of Amsterdam/Asian Studies in Amsterdam). Another special conference event was a Literary workshop titled ”Dream, Vision or Realism: Hindi Literature at the Brink of the Twenty-First Century”, held one afternoon. More information. 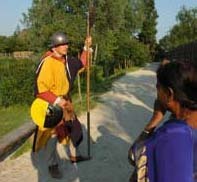 The conference dinner was held on Thursday 29 June, in Roman setting in the prehistoric event park Archeon, outside Leiden. The Bangladeshi Ambassador to the Netherlands, Ms. Ismat Jahan, was the guest of honour at the fabulous dinner session, that even included Bhangra dancing by Punjabi and European participants, and Bubu Munshi-Eklund singing Rabindrasangheet along with the Ambassador. On the final day the conference’s ”business meeting” was held along with the fifth General Meeting of European Association for South Asian Studies. The meeting decided to formalise the relationship between ECMSAS and EASAS, something that was not there earlier. Nominations for new EASAS board members were received, and a discussion was held about the venue for the next ECMSAS conference, to be held in 2008. The main candidate for the honour to arrange the 2008 ECMSAS conference is the University of Manchester, UK, but the final decision will be announced later. In 2004 SASNET organised the 18th ECMSAS conference at Lund University, Sweden. Full updated information on the Lund conference. An extensive Conference Diary was prepared by Dr. William Radice, renowned Bengali Studies scholar from the School of Oriental and African Studies, University of London, UK. Read his report from the Lund conference, titled ”Swedish Rhapsody”! (as a pdf-file). SASNET was also represented at the conference in Leiden. Prof. Staffan Lindberg, Director of SASNET, chaired panel No. 32 on ”Post Green Revolution Agrarian Transformation in South Asia: Ecology and Peasant Life under Globalization” (Staffan with the other panel participants on the photo to the right), and he also participated in a panel discussion on the formation of ANERI, the Academic Network for European Research related to India, initiated by the European Commission (and formally launched during the Leiden conference). More details about the ANERI project. SASNET’s deputy director/webmaster Lars Eklund also participated in the 2006 conference, visited several panels and followed the discussions. Lars made a photographic documentation. See his photos from the Leiden conference.